Wonderful quick comparison, gives good basic information on identification. Thank you for sharing! Thank you very much for this article. Its one of the frequently asked question even from expert’s side. Short but effective article..good one gowri sir..the scale variation seems to be difficult to study in each snake.. Thanks for sharing this sir . 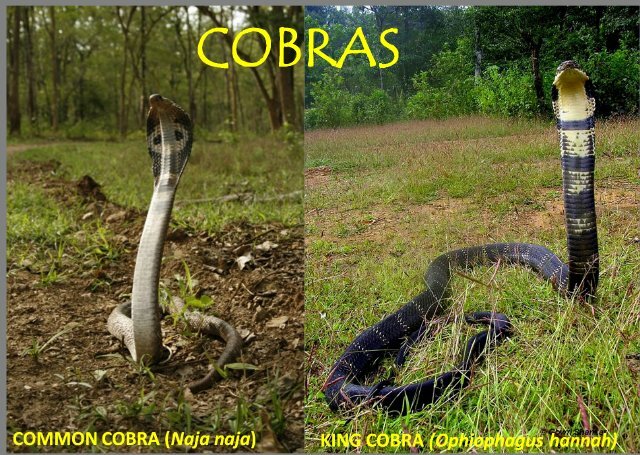 Short and precise information to easily differentiate the two snakes. Thank you for sharing. Its awesome Gowri… hope people will understand the difference and respect them both! btw how is ARRS doing ?? Useful piece. Hope you included N.kouthia.next time. Same problem in the kouthia region also. thank u so much for this information…! Thanks for this very illustrative and informative article. Am making a film on snake charmers … and they were expectedly misinforming us. This helped a lot. Good to know that Chandrika. We are happy this article helped you. All the best. 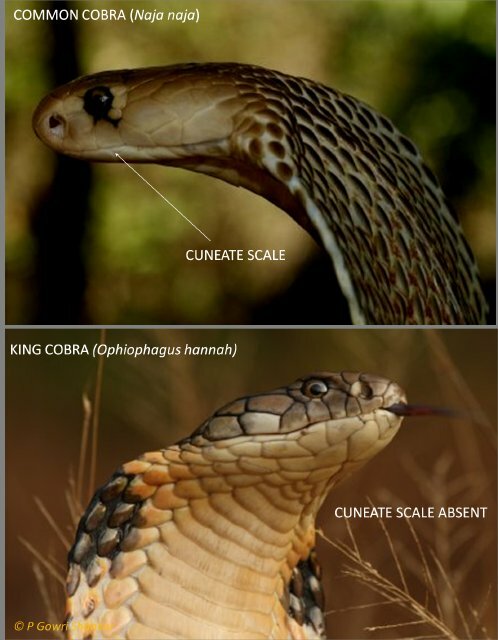 isnt the King Cobra supposed to be the most venomous? 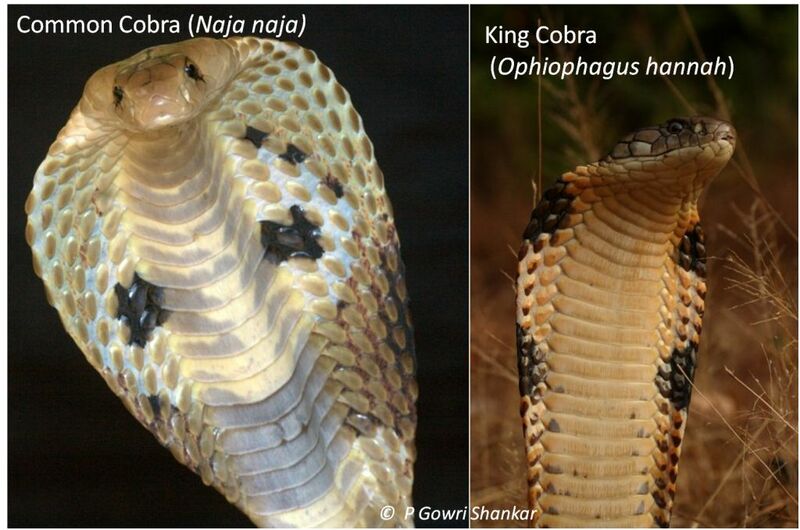 A common cobra is venemous no doubt but the King cobra is the king for a reason! Check austin stevens video on handling the king cobra in kerala. There are many criteria to consider to determine which is most venomous and this post is based on scientific facts. In a 30 minute or 1 hour video it is difficult to state everything, so it requires discretion and further research instead of accepting everything stated as is. 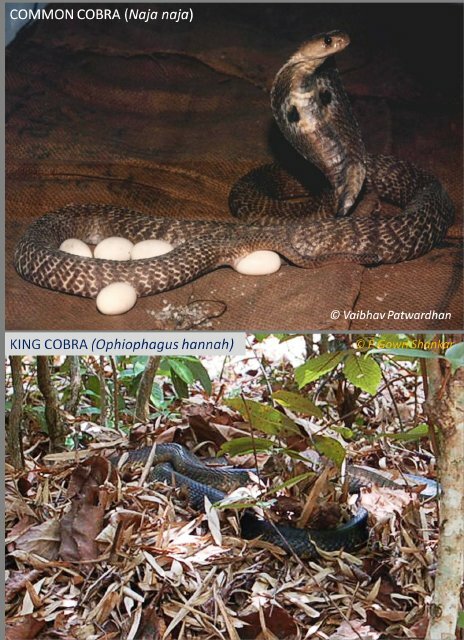 The “king” part of the name refers to the fact that it eats other snakes. Same reason why kingsnakes of the US (which eat other snakes but are nonvenomous) are called kingsnakes. I observed that the spectacle shape of Naja naja has many variations. May i know the reasons ? Would appreciate if you can share your learning with us. Nice and succinctly written article. Thanks. Sure Sumit, please share the images on info@rainforestecology.com. 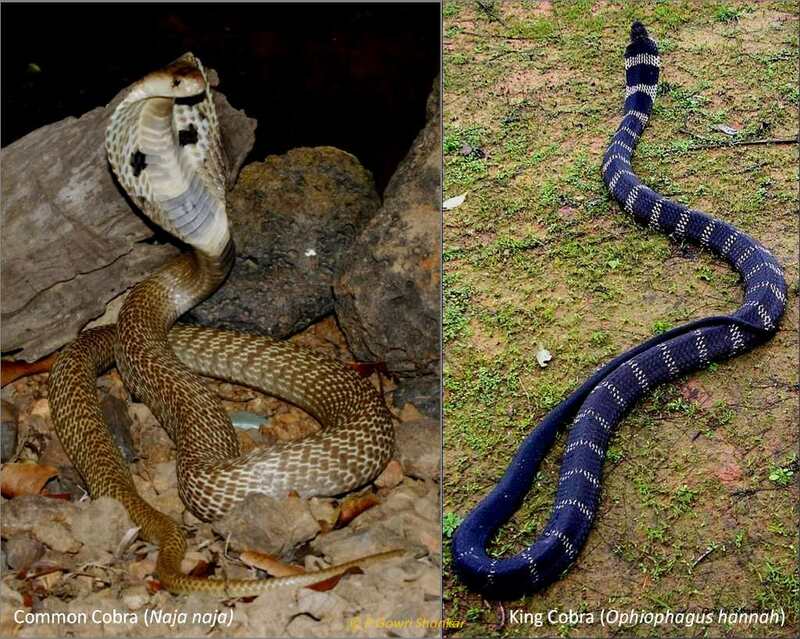 I think north east India is also one of the habitats of cobras because in Manipur one can find cobras. This info is potentially life saving. Hats off to the authors! Very good article highlighting the differences from close-up look, for those who can’t dare to get that close ! 3.if venom is replenished immediately or takes some days, after all the previously produced venom has been injected. Once again, appreciate this nice article ! Have a suggestion/question. 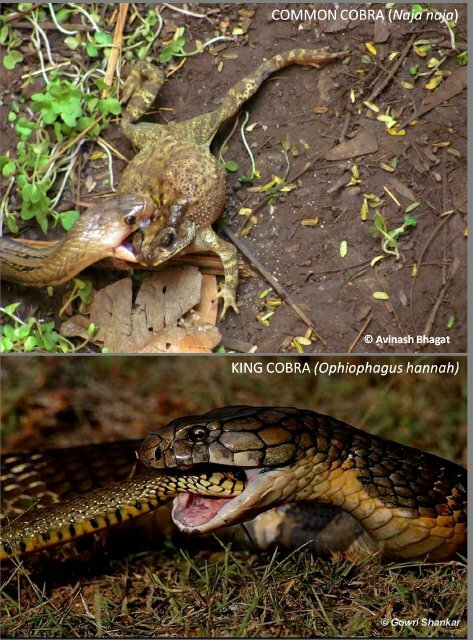 Are King Cobras cannibals – eat their own or not? If cannibalistic, they eat their own kind. You might want to re-write the “food” section. Thank you for your comment. Yes King cobras are cannibalistic. This was already mentioned in the post. Short but effective. …That’s better…. Sure, Sujit. Please share your mobile no, I will call and discuss. Thank you for your comment, Vijesh. Please share what is that you think is missing, we’d be glad to edit if need be. There are some video that so the cobra change skin 4 times a year. During the skin change process he is nearly blind for some time. That is true Waqar. 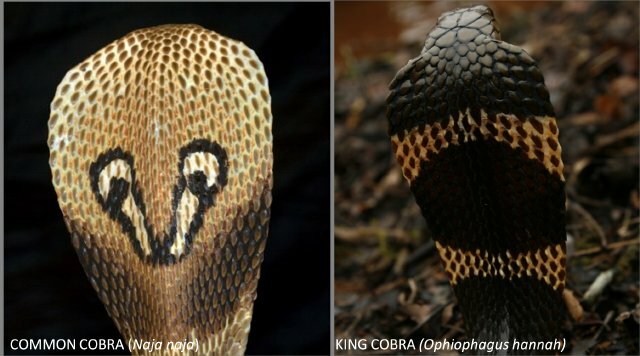 The snake in the video is a king cobra and the process of shedding skin is called Ecdysis.